Students in TK-8 have the experience of public speaking and creative play as an integration throughout our curriculum. Additionally, every Fall students in grades K-8 audition and rehearse for a Spring Musical Production. 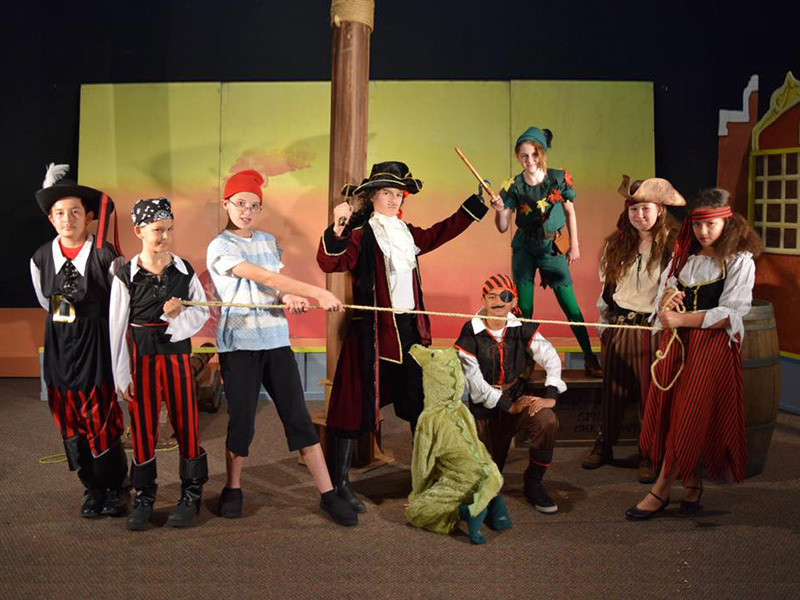 These productions include drama training with music and dance, high-quality costumes, and magical scenic designs. There is also an opportunity for middle school students to be part of the Stage Crew, where they learn the technical aspect of props, lighting, set scene-changes, and sound board. Our theater program not only introduces young people to the magic of musical theater, but it also teaches them important life lessons that venture far beyond the arts.